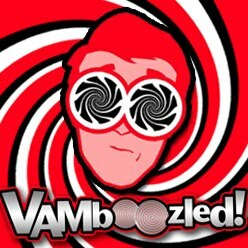 Colleges of Education | VAMboozled! A couple of weeks ago I published a post titled “Your Voice Also Needs to Be Heard.” In this post I put out an all-call to solicit responses to an open request for feedback regarding the US Department of Education’s proposal to require teacher training programs (i.e., colleges of education) to track and be accountable for how their teacher graduates’ students are performing on standardized tests, once their teachers teach in the field for x years. That is, teacher-level value-added that reflects all the way back to a college of education’s purported quality. Among the policy groups, Sawchuk accordingly positions groups like the National Education Policy Center (NEPC), that he defined as “a left-leaning think tank at the University of Colorado at Boulder that is partly funded by teachers’ unions and generally opposes market-based education policies” — against, for example — the Thomas B. Fordham Institute, which in reality is a neoconservative education policy think tank, but in Sawchuk’s “reporting of the facts” he defines as just “generally back[ing] stronger accountability mechanisms in education.” Why such (biased) reporting, Sawchuk? Cost far more to implement than the $42 million the Education Department estimated. You can see individual’s responses also highlighted within the article, again linked to here. “Only a handful of commenters were outright supportive of the rules.” Yet, “[w]hether the [US] Education Department will be swayed by the volume of negative comments to rewrite or withdraw the rules remains an open question.” What do you think they will do? Petrilli also cautioned that “critics’ attempts to undermine the rules could backfire. ‘If opponents want to be constructive, they need to suggest ways to improve the regulation, not just argue for its elimination.” For the record, I am MORE THAN HAPPY to help offer better and much more reasonable and valid solutions! !